Seattle Computer Recycling has been repairing and recycling computers, laptops, Macs, and Macbooks for more than 22 years in the Seattle Area. We are a responsible e-waste recycler, and we offer Seattle Companies and computer users a responsible option to recycle for re-use or re-purposing, or dispose of end of life cycle and other surplus computer equipment and electronics. See About Seattle Computer Recycling. 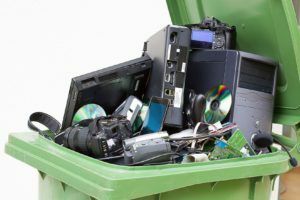 Local Seattle Computer Recycler: All Seattle based consumers and companies face the problem of responsibly and safely disposing of older computer equipment, laptops, Macs and other e-waste. The now have a local solution which focuses on re-use of recycled computers like no other. We repair all recycled computers, laptops, and Macbooks possible. Properly Recycle Computers: As consumers and businesses in the Greater Seattle Area upgrade their Macs, and PCs, more computers and other types e-waste are unfortunately finding their way into the regular garbage waste stream. The EPA claims that each year over two million tons of e-waste, computers, and other electronics is discarded into U.S. landfills, and are not properly recycled. Your Recycling Partner: Now businesses and consumers in Seattle have a partner in the computer, laptop, and e-waste recycling business. 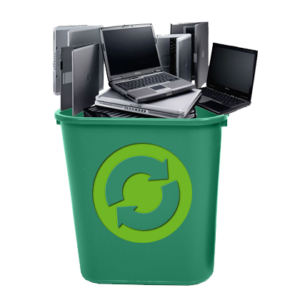 We understand the need to safely dispose of computers, laptops, macs, Macbooks and other electronic equipment in an environmentally responsible manner. We all understand the need to keep our soil, and water free from e-waste contamination. We Repair Recycled Computers When Possible: By proudly promoting recycled computer and laptop re-use by repairing computers for re-purposing we greatly reduce e-waste. Recycle your computers and electronics today, and rest assured we will do all we can to extend their lives when possible to reduce environmental impact. Call Us Now: Call us to find out how to easily dispose of or recycle your e-Waste, computers, Macs, or laptops – FREE! Seattle Computer Recycling ensures we are properly disposing of all computers left for recycling, or reuse, or are picked up from local companies. No toxic e-waste will be dumped into any landfills if we can help it. If you have been looking forward to getting your computer or laptop recycled, bring your devices or e-waste to our store in Seattle at 76th and Aurora. Your Best Solution For Recycling Computers: Several companies deal in computer recycling in Seattle. None do more than Seattle Computer Recycling or our parent company Seattle Laptop to make sure no e-waste is sent offshore, and all computers that can be repaired and re-purposed for re-use find a second life somewhere. We sell refurbished computers, laptops, and Macs in our store. All refurbished computers and laptops are sold with a warranty, and lifetime tech support. Motherboard Recycling: Our company specializes in desktop computer and laptop motherboard recycling. Many recycled computers, laptops, and Macbooks have good motherboards that can be used to repair broken computers, and thus keep new computers from being manufactured. This is better than recycling. Re-using components whenever possible is great for the environment! Secure Data Wiping: Security compliance, identity theft, and other cyber crimes have turned out to be a major concern of many Seattle companies and computer users. Seattle Computer Recycling stands out to be your best partner in the safe computer recycling business. We understand safe disposal of your computers, laptops, and Macbooks in a way that assures there is no exploitation of data under any circumstances. The hard drives in recycled computers and laptop are erased or physically destroyed to ensure that the information does not slip into the wrong hands. Ever. On clients’ demands, we can even offer a certificate of destruction for all hard drives, PCs, and laptops. Just ask. Computer Services: Computer Recycling Seattle is part of Seattle Laptop Inc. If your laptop, Macbook, or computer needs repair, or you need consulting assistance please check out our Computer Service Page, and view some of the services we offer. We are located at 76th and Aurora in North Seattle.